When a friend needed an identity for his small business, my gut instincts and a belief in the end product led the way. Working with Zeus Design Build was a great example of how the branding process, no matter how simple, can have immediate impact. 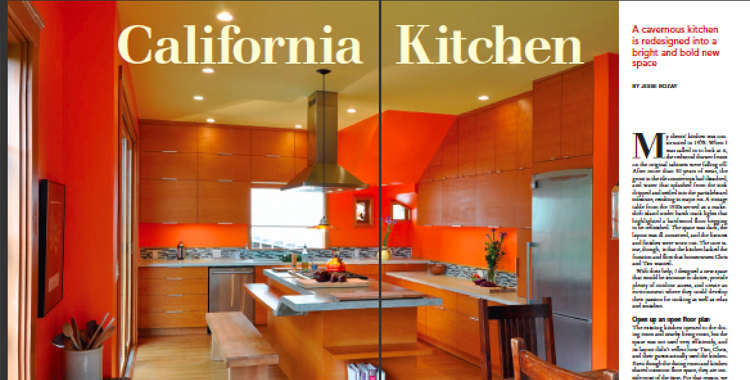 Zeus Design Build (ZDB) is a specialist construction company with a California-living niche. 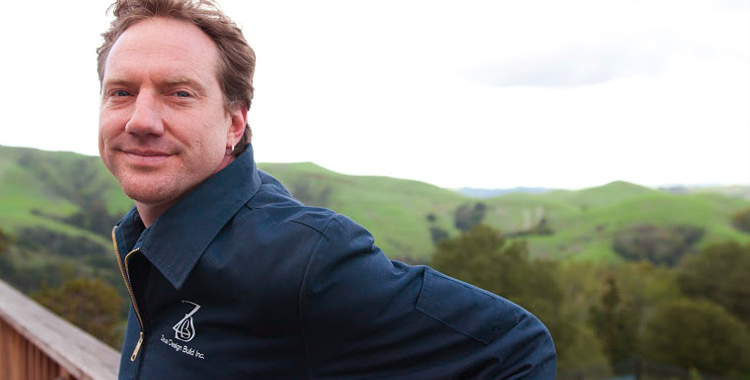 They create dream kitchens for foodies and craft homes with a sustainable footprint. What’s not to like? ZDB’s roots stem from Canyon, an off-the-grid community in the East Bay hills. Owned by Jesse Rozay, the company is an extension of his own creativity and passion for craftsmanship. While this made for an interesting (and unconventional environment) a growing list of higher-end clients meant it was time to reflect a polished exterior. Our first step assessed his market differentiation and developed a clear brand strategy. The platform would support both the visual “look & feel” and copywriting tone. We examined ZDB’s competitors, as well as its strengths and proven capabilities. A key benefit was their management of the entire project from design to construction–using one point of consistent contact. Their design process was also highly collaborative, with Jesse acting as a sounding board for each client’s vision. We arrived at a strategic positioning of “Your creative partner for California living” and identified four core attributes: APPROACHABLE.UNCONVENTIONAL.CONFIDENT.INSPIRING. These spoke not only to inherent truths at an organizational level, but also mirrored the creative attributes of Jesse himself – the driving force behind all ZDB solutions. The design focus explored text-based logos and a lockup with “California”. We favored “Zeus” as opposed to the ZDB acronym–for greater impact in marketing activities (such as online search). The result was a bold and inviting color palette that would stand out on-site. The custom logotype spoke to an architectural structure and provided design-centric appeal. The overall system included business stationary, signage and apparel. Beyond the identity, marketing efforts extended to a website redesign and promotional copy. These were developed by Kriz Bell, who also worked to define the written tone and marketing support. New website and Facebook page. ZDB’s new identity rolled out last November, coinciding with the release of Fine Homebuilding Magazine’s Kitchen and Bathroom issue. 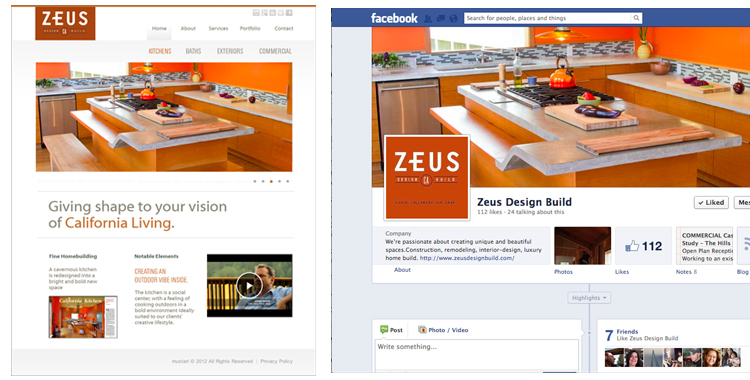 Zeus Design Build landed the cover story, which not only profiled its creative flair but also showcased the new brand. Retaining consistency across all executions meant that, with a limited spend, impact would be maximized wherever it was seen.